Por que no es asi el de calle??? 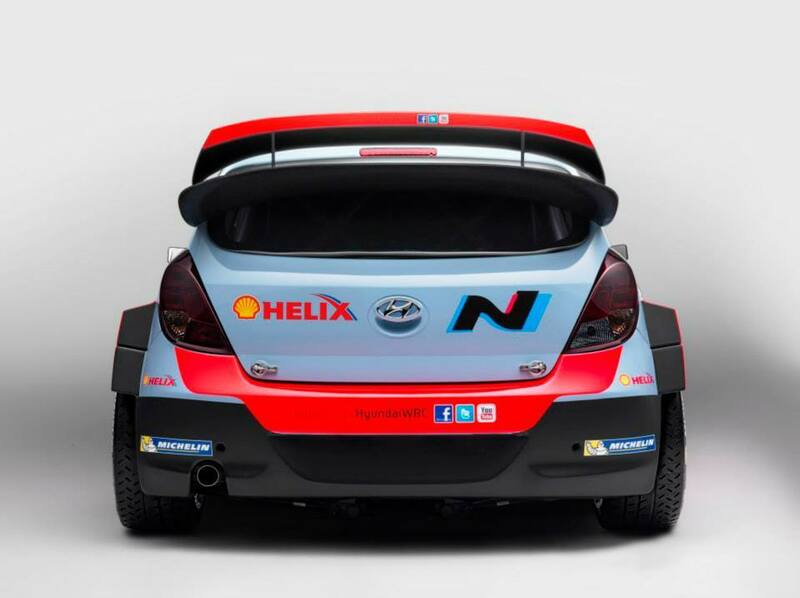 Ojala que dure esta nueva oleada de wrc y disfrutemos de un mundial como los de antes. Estéticamente es muy anticuado, parece un WRC de la época del 206. Por que no sacan uno de calle con esa defensa delantera y las aletas ensanchadas??? Contará con Thierry Neuville, Juho Hänninen, Dani Sordo y Chris Atkinson. No todos completaran la temporada completa, como Sordo, sino que competiran en unos rallyes. December 10, 2013 - Hyundai Motorsport has unveiled its full team line-up at a special launch event in Offenbach today, as the manufacturer gears up for its debut in the 2014 FIA World Rally Championship at Monte Carlo next month. Hyundai Motorsport has set realistic targets for its debut season with the primary objective of finishing each rally event with two cars. The young team will approach each rally with the goal of accumulating vital knowledge and data in order to strengthen its foundations for subsequent years. Going up against vastly more experienced WRC competitors, the team knows that it has a steep learning curve, but it certainly relishes the challenge and will be aiming to compete for podium places during the season. "We have worked tremendously hard to get where we are today and to be able to launch our new WRC team to the world," explains Team Principal of Hyundai Motorsport GmbH, Michel Nandan. "In less than one year, we have built and tested a brand new WRC-specification car, the Hyundai i20 WRC, and established a professional team and modern motorsport facility. It's a huge accomplishment but we know that we have a lot to learn in our first season. Our aims for 2014 are realistic: we want to finish each rally with both cars and build up a database of information and experience so we can develop ourselves into prospective rally winners in the future. If all goes well, we will hope to be competing for occasional podiums as the year progresses." The launch event was held at the home of Hyundai Motor Europe in Offenbach, just a short drive from Hyundai Motorsport's facility in Alzenau, where final preparations are taking place for the team's rally debut in just over one month. Over 150 journalists and guests attended the event to see the newly liveried Hyundai i20 WRC and team on display. The complete line-up for 2014 includes a new title partner, Shell, which will see the team named Hyundai Shell World Rally Team. 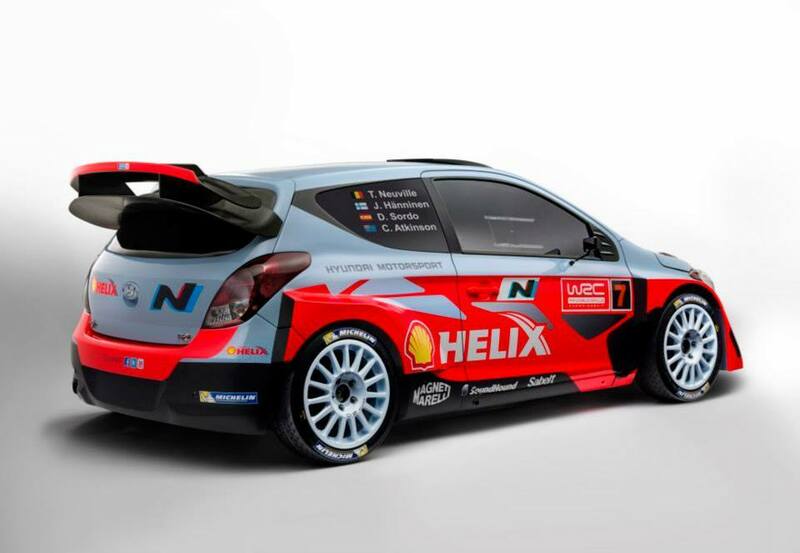 The multi-year partnership will see Shell Helix-Ultra logos adorn the Hyundai i20 WRC at all WRC events. 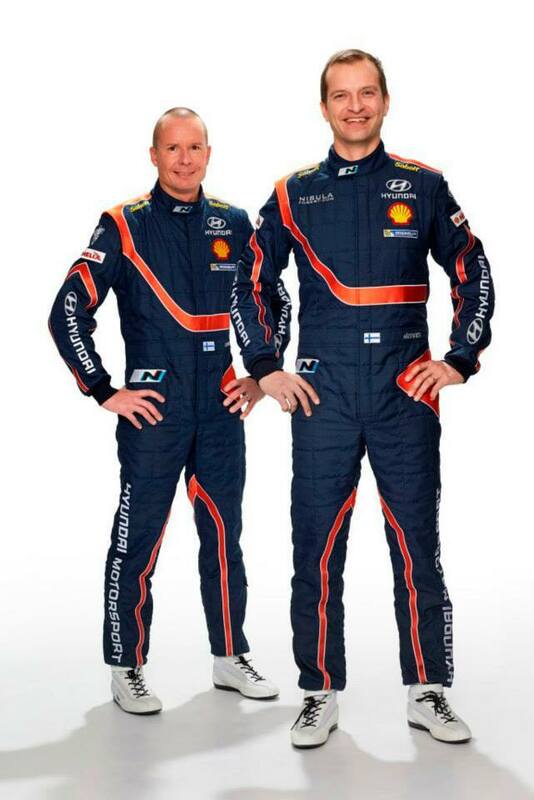 "Shell is delighted to be returning to the WRC in 2014 with Hyundai," said Colin Abraham, Shell Vice President Marketing (Fuels and Lubricants). "Shell and Hyundai have worked closely together to deliver a high quality product to customers around the world for more than eight years. We bring a genuine understanding of each other's strengths to this exciting new team as the Hyundai i20 WRC prepares for its first competitive season." 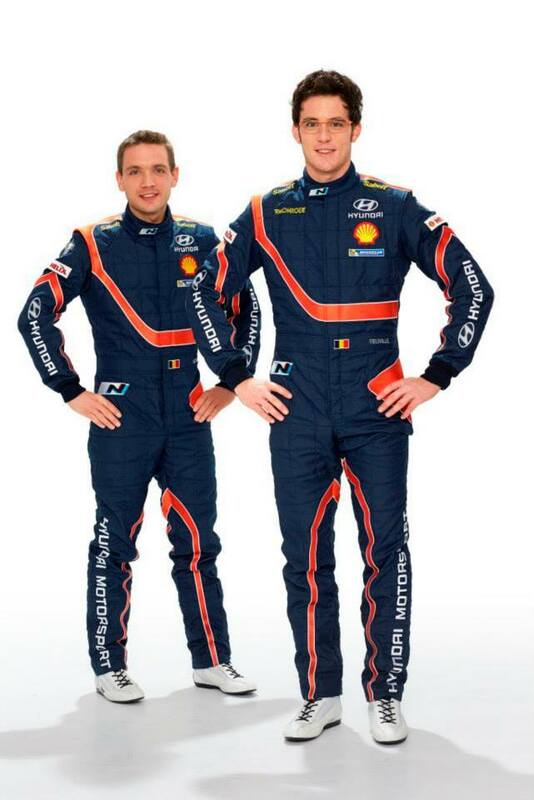 Thierry Neuville made his first public appearance in Hyundai Motorsport colours as the teams lead driver, while Juho Hänninen, who will drive the second i20 WRC at selected events, was also present. It was also announced that both Dani Sordo and Chris Atkinson will partner Thierry Neuville at several events during the season, with Dani Sordo running on Rallye Monte-Carlo and Atkinson confirmed for Rally Australia. 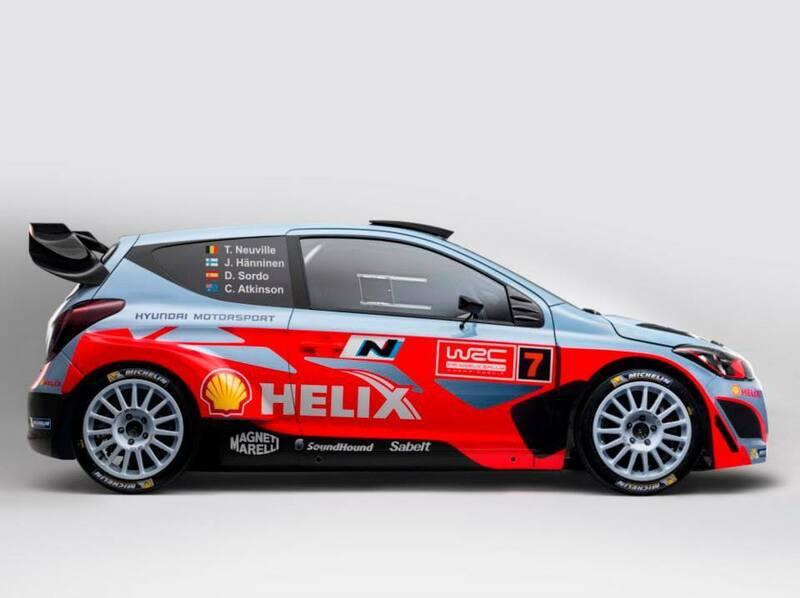 "I am really excited at the prospect of helping Hyundai Motorsport to integrate itself into the tough WRC environment," said Thierry Neuville. "It is an honour to be representing a manufacturer like Hyundai Motor Company but also to have the extra responsibility of leading the team in our first season. I am looking forward to Monte Carlo. I can already feel the professionalism, motivation and passion of this team so although it will be a steep learning curve, I am sure it will be a positive one." Juho Hänninen said, "I respect the opportunity that I have been given to join Hyundai Motorsport in its debut WRC season. I was the first to drive the Hyundai i20 WRC back in May so I feel really close to the project and have a great relationship with the team. I am looking forward to competing in Rally Sweden and continuing our learning curve." 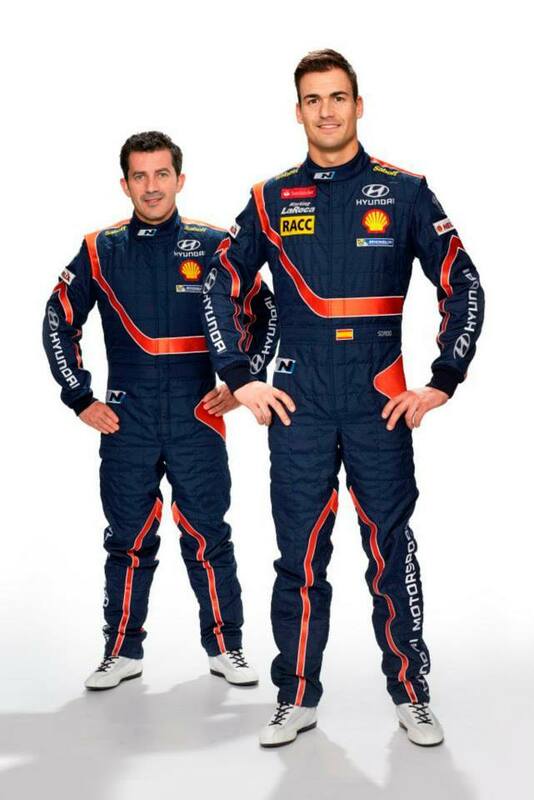 Dani Sordo commented: "I am very happy to be part of this exciting Hyundai WRC project. It might be a young team but there is a high level of experience and professionalism that makes the team a really appealing package. I am looking forward to bringing my years of WRC experience to the team in its debut season and to take part in Rallye Monte-Carlo, the first event." "It's been a pleasure to be part of Hyundai Motorsport in testing this season and to have had the chance to contribute to the development of the i20 WRC," said Chris Atkinson. "It's fantastic to be able to carry on with the team into 2014, our first WRC season, and to be able to drive in Rally Australia later in the year." 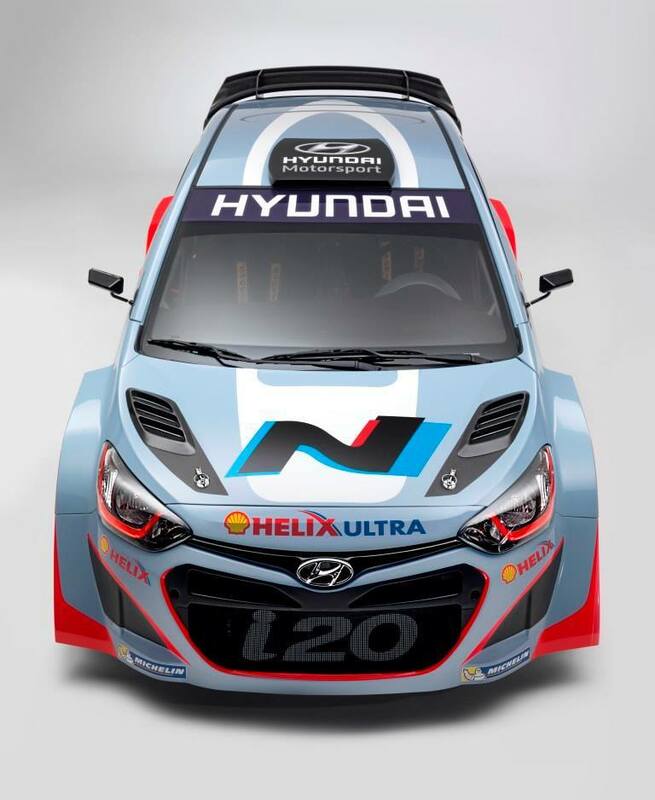 Hyundai Motor Company also used the occasion of its WRC launch to announce that Hyundai "N" will be used to symbolise Hyundai's high performance technology on both the i20 WRC car and future mass-produced high performance cars. Linked directly to the company's renewed involvement in WRC, "N" brings together Hyundai Motor's technology and innovation with the learning from motorsport to provide a new experience for customers. Representing the company's passion for high performance, "N" takes inspiration in both name and spirit from the Namyang R&D Centre that has collaborated with Hyundai Motorsport on the development of the i20 WRC. The Namyang R&D Centre is at the heart of the technological innovation and development that serves as the driving force behind Hyundai's growth as a global brand. 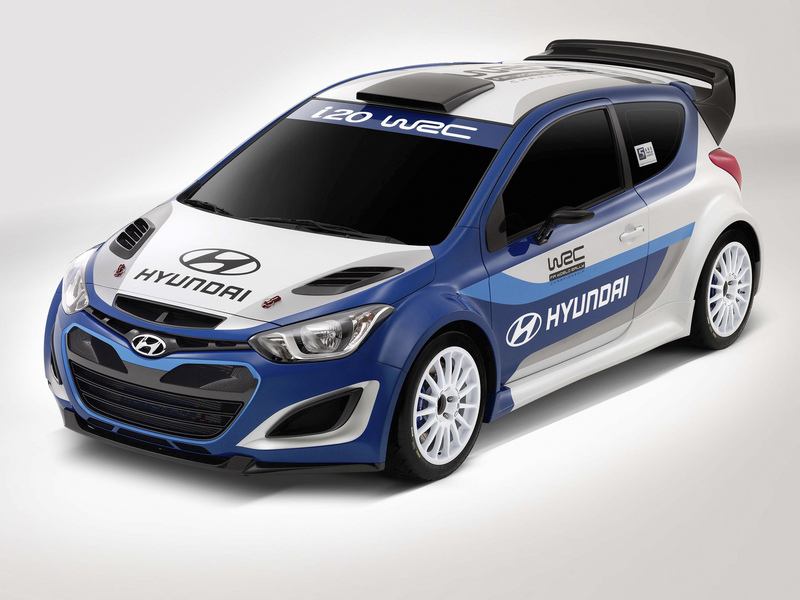 The Hyundai WRC team has come a long way since the first iteration of the i20 WRC car made an appearance at the Paris Motor Show in September 2012. Hyundai Motorsport has developed from scratch into a fully functioning motorsport team, defying the odds to build, test and prepare two rally cars ready to compete in 2014. With more than 90 staff from 18 nationalities, made up of motorsport specialists and experienced Hyundai personnel, the team represents the perfect mix of Hyundai and motorsport ideals. 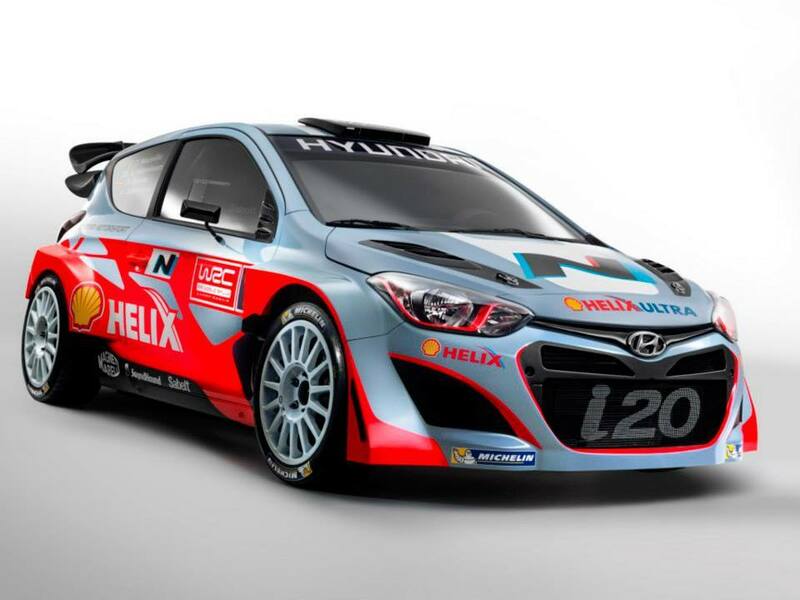 In just over one month's time, Hyundai Motorsport is set to add a new dimension to the FIA World Rally Championship by competing in its debut event of 2014. The company has already shown what can be accomplished in a short space of time with the right mentality and approach. 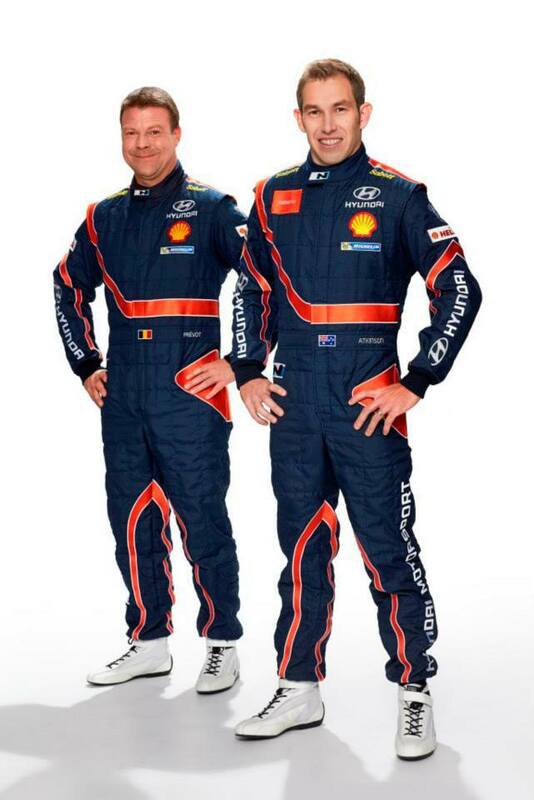 For the Hyundai Shell World Rally Team, January cannot come soon enough.